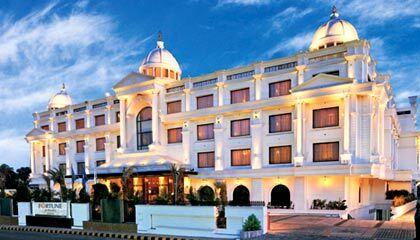 Fortune J P Palace is located 2 km away from the renowned Mysore Palace. 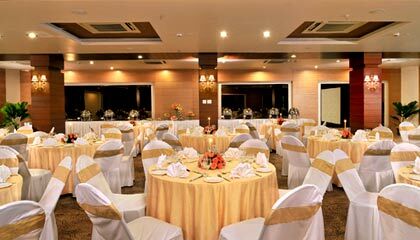 Fortune J P Palace is a premium business hotel, sited in front of Government House in Mysore. 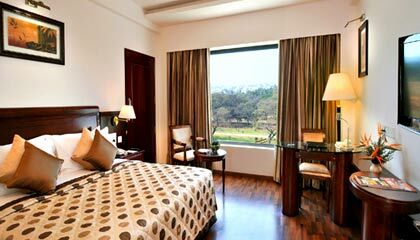 Sporting a grand palatial edifice, the hotel has been elegantly planned in midst of beautiful gardens to give its esteemed guests a majestic experience. Overlooking the splendid Chamundi Hills, the hotel provides an easy access to the railway station, airport and many sightseeing places in the city. 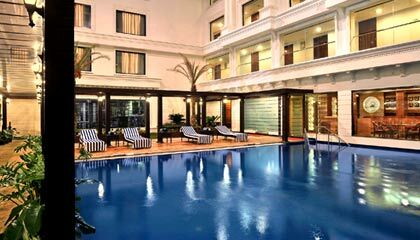 The hotel, with graceful interior decor, exudes a regal ambiance with the essence of the enduring charm of Mysore. 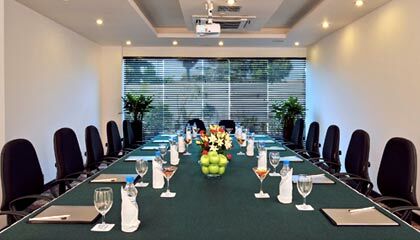 From plush accommodation units and outstanding dining venues to ultra-modern conference facilities and contemporary wellness center, the hotel delivers everything to satiate the needs of even the most sophisticated travelers. 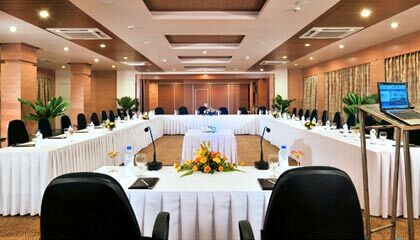 Together with unrivaled hospitality and immaculate services, Fortune J P Palace invites you to explore the magnificence of this Royal City, whilst enjoying utmost comfort and luxury. 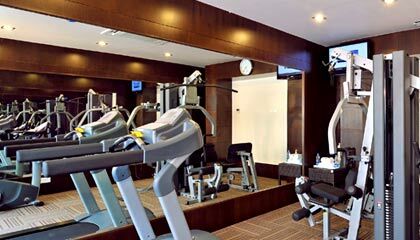 The hotel has 108 elegantly designed rooms, categorized into Deluxe Rooms, Fortune Club Rooms and Suites. 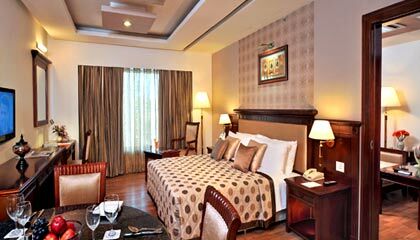 Each room is decked up with chic furnishings and outfitted with all latest amenities and services. 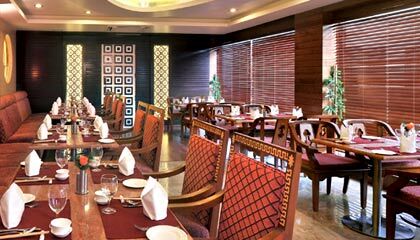 The Oriental Pavilion: A speciality restaurant offering finger-licking Oriental cuisine. Orchid: Relish a wide spread of delicious world cuisine in a cozy setting. 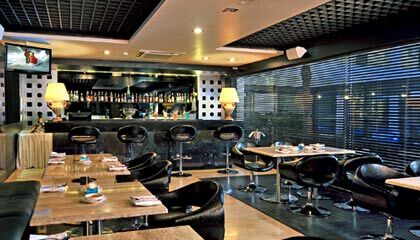 Neptune: A lounge bar serving wines & cocktails along with yummy snacks.